The letter titled First Corinthians in our Bibles was written by the Apostle Paul from Ephesus during his third missionary journey sometime around AD 55. The letter was written to address a number of problems and questions that had arisen in the church at Corinth, including sexual immorality, marriage and divorce, food offered to idols, worship, spiritual gifts, and the resurrection. The letter is a favorite of many, but it contains a number of difficult texts. The following are five of the most helpful commentaries on the First Epistle to the Corinthians. 1. 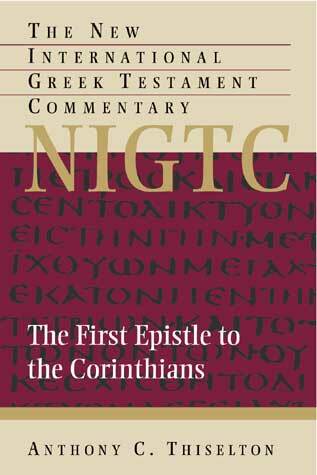 Anthony C. Thiselton — The First Epistle to the Corinthians (New International Greek Testament Commentary, 2000). Anthony Thiselton’s commentary on 1 Corinthians is the most thorough and complete commentary on this book available in English. Thiselton set forth to address virtually every imaginable question that one could ask about the text, and he appears to have succeeded. Although quite readable, this is a technical commentary on the Greek text, so it is not for everyone. For those who do not have enough background in the Greek language to use a technical commentary, Thiselton has also produced something of an abridged version with more focus on practical application. Pastors may find the abridged volume more immediately helpful, but all students should consult the larger work as well. Very highly recommended. 2. Paul Barnett — 1 Corinthians (Focus on the Bible, 2004). Paul Barnett is an outstanding commentator, and I would recommend any student of Scripture work through this commentary on Paul’s letter to the Corinthians. It is accessible to students at almost any level. 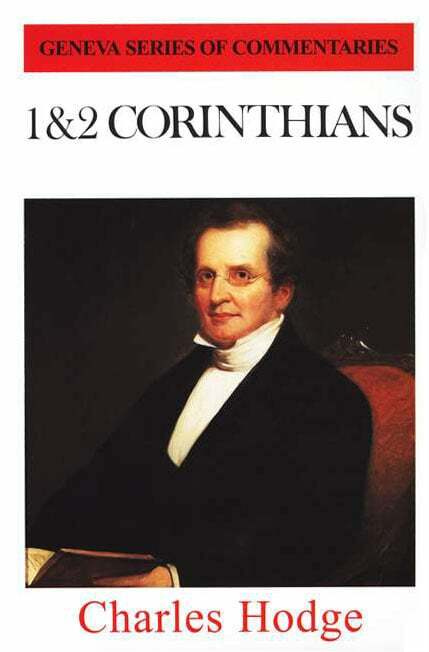 Barnett sees 1 Corinthians as containing a series of short sermons, and his insight into the text and its contemporary application is extremely helpful. 3. Charles Hodge. — 1 & 2 Corinthians (Geneva Commentaries, 1857). Charles Hodge was a professor at Princeton Seminary in the nineteenth century and a stalwart Reformed theologian. He also wrote a number of biblical commentaries. His commentary on the letters to the Corinthians is a classic. There are many who would ignore these older commentaries in favor of newer works, but in this case at least, that would be a major mistake. Hodge’s work is filled with valuable insight into Paul’s letter. Highly recommended. 4. C.K. Barrett — The First Epistle to the Corinthians (Black’s New Testament Commentary, 1993). Barrett’s commentary on the First Epistle to the Corinthians falls into the “intermediate” range of difficulty. Most students will find it accessible, but if you are coming to the text for the first time, there are other commentaries that would make a better place to begin (See Barnett above). For pastors or teachers who are working through 1 Corinthians, however, Barrett’s work should not be missed. 5. 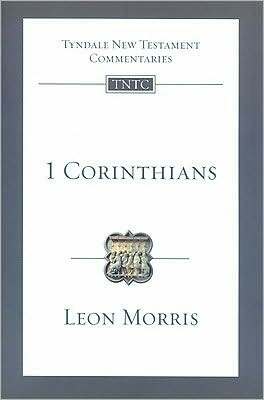 Leon Morris — 1 Corinthians (Tyndale New Testament Commentaries, 1985). The late Leon Morris has written a number of great commentaries. His commentary on 1 Corinthians in the Tyndale series is one of those. Space limitations in the series preclude comprehensiveness, but Morris can usually say more in a few pages than most commentators can say in an entire book. This introductory level commentary will benefit any who take the time to read it. 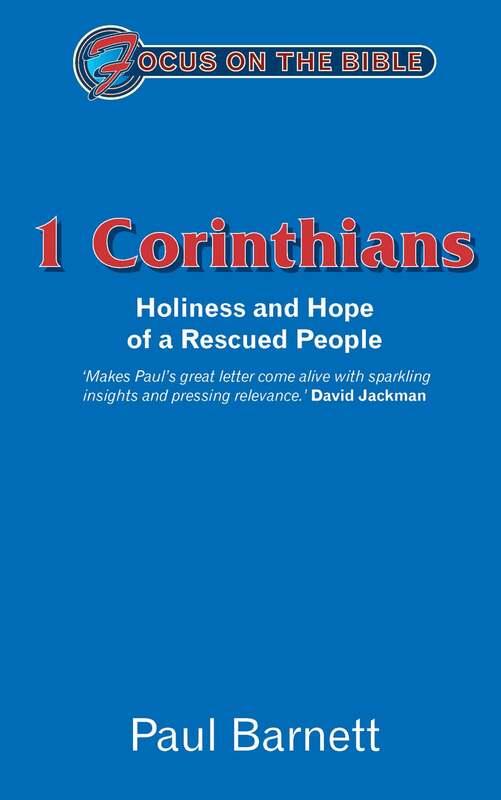 There are a number of other helpful commentaries on the book of 1 Corinthians. Among them are the introductory level commentaries by David Prior and Roger Ellsworth. Pastors will appreciate the works by Richard Pratt and Craig Blomberg. There are several helpful intermediate level works written by evangelical authors, including F.F. Bruce, Roy Ciampa and Brian Rosner, Peter Naylor, Craig Keener, and Alan F. Johnson. On a more advanced level are the commentaries by David Garland, Ben Witherington, Simon Kistemaker, and Gregory Lockwood.